Erna Hiscock and John Shepherd, antique dealers from Ashford, are presenting a special display of early English and Continental darning samplers, titled Sew, Mend and Darn, at Old Corner House Antiques, 6 Poplar Road, Wittersham, from 12th – 13th September 2009. A donation will be made from the sales of the important accompanying catalogue, priced £5.00, to the Pilgrims Hospice Charity, Ashford. The display and the background research undertaken by Erna Hiscock and John Shepherd will broaden the existing knowledge of the history of the darning sampler. The catalogue to the exhibition will be sought after by collectors and connoisseurs and is expected to become a landmark publication in the oeuvre of sampler history. Among the collection will be a number of important and previously unseen samplers from Kent. Most importantly, Erna and John’s research has revealed that samplers were produced as early as 1694 and throughout the early years of the 18th century. 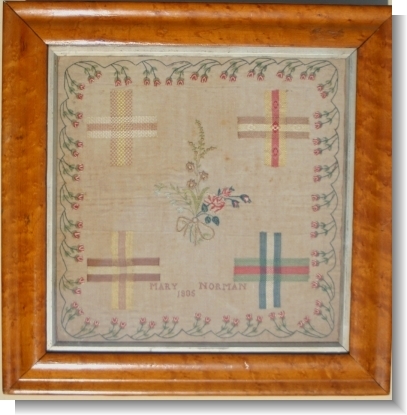 Previous commentators believed that needlework samplers appeared, fully formed, at the end of the 18th century. John and Erna now state that this is quite untrue. 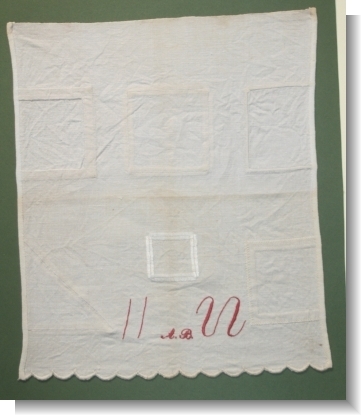 The earliest and possibly most important darning sampler on display is dated 1768 signed with the initial AG. Worked with a central basket of flowers and other distinguishing features, it is proof of the early development of the English style. This sampler will be for sale, at a price of £4,750. No less important will be a small group of two darning samplers from Norfolk, from the same hand as the well-recorded samplers in the Stranger’s Hall Collection, Norwich. Signed A. Blake (Ann Blake) they feature a distinctive decorative Chinese vase, trees, a vine forming an arch, birds and clouds. They have been clearly influenced by a single teacher. These three will be for sale at prices from £3250 Other examples in the collection have been loaned from important private collections. Altogether, over 60 samplers will be on display of which most will be for sale. 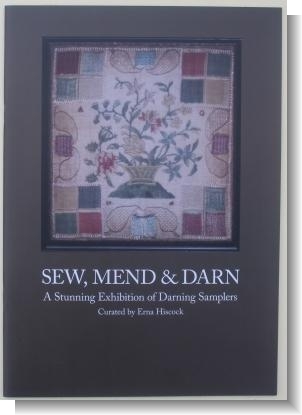 Commenting on the display, Erna Hiscock said: “The display has taken us several years to assemble and we feel sure it will be of enormous interest to serious collectors and historians of the English and European darning sampler. We are expecting interest from all over the world.’ The accompanying catalogue includes and invaluable and informative essay by John Shepherd with key illustrations. The proceeds from the catalogue will be donated to the Pilgrims Hospice Charity, Ashford. The cataloque will soon be available price £6 including P&P, for the USA etc £9 including P&P, it has 48 illustrations and text , so please contact us for a copy, many thanks Erna Hiscock and John Shepherd can be contacted on Tel: 01233 661407. A.B. N. FRENCH early 20th Cent. PAIR 28 / 29. M.SWAN. 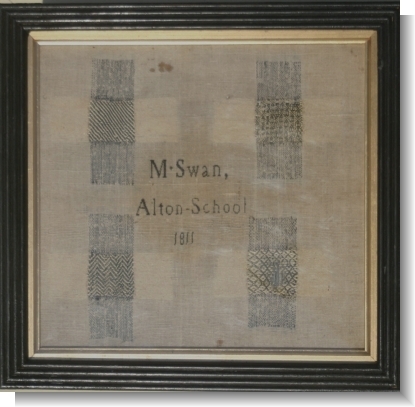 ALTON SCHOOL.